I'm 19 and a "new born" to sales. Grant is someone I consider to be just as valuable as Zig Ziglar in the business of selling. After hearing this and seeing the reviews I'll be purchasing ALL of his books. There's no Smoke & Mirrors. It's all to the point. I feel this book is a classic and timeless. It's a great read and if implemented honestly, could actually work. I loved most his stance on Primary success: Focusing on the inner-self (character) rather than Secondary success: the superficial (personality). The narrator was also good. It's worth the read if your like me and struggle with real change. Would you listen to The Power of Consistency again? Why? Yes. 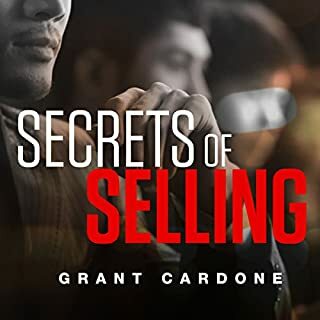 I would repeat this audiobook over and over like a mantra, until its ingrained in my subconscious and the 'Power of Consistency' become second nature. The information is very valuable. 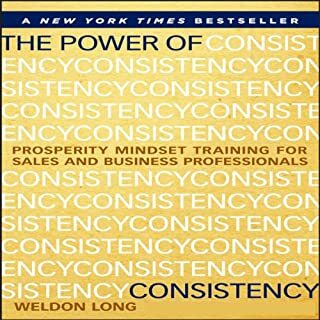 What other book might you compare The Power of Consistency to and why? Simply because I have read the book and because he admires Dr.Covey. Which character – as performed by Weldon Long – was your favorite?